Sobhy came from 0-4 down in the first game to then save five game balls and swing the early momentum to take the opening game 12-10 and inflict a blow that 20-year-old El Sherbini couldn’t recover from. 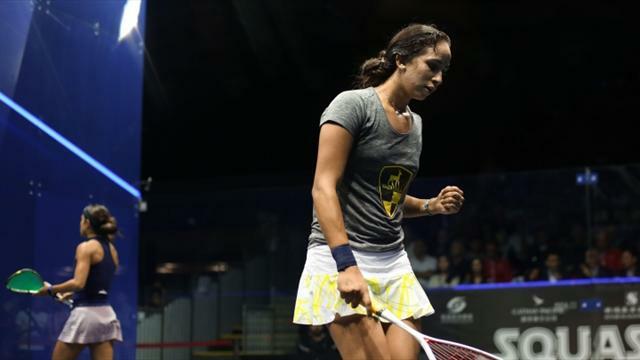 In the men’s draw home hero Max Lee’s unexpected run finally came to a halt at the hands of maverick Egyptian Ramy Ashour, the three-time World Champion and 2012 Hong Kong Open champion. Lee had delighted the crowd inside Hong Kong Park Sports Centre to become the first home player in 30 years to reach the last four but he couldn’t stop a resurgent Ashour, who continued to play his unique blend of squash in a a 3-0 win.